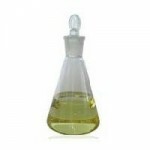 This entry was posted in Castor Oil - Research, castor oil derivatives, Castor Research, Ricinoleic Acid and tagged castor oil derivatives, castor oil research, Castor Research, ricinoleic acid by Gayathri. Bookmark the permalink. I think salts of undecylenic acid (undecylenates) and ricinoleic acid (ricinoleates) are already being used as deodorants and anti-fungals, so this is a further extension in this field for the use of castor oil derivatives. With the importance of anti-bacterials growing every day, and with developing and underdeveloped countries also having increasing demands of these, this could be a high potential growth market for castor oil derivatives in the near future.